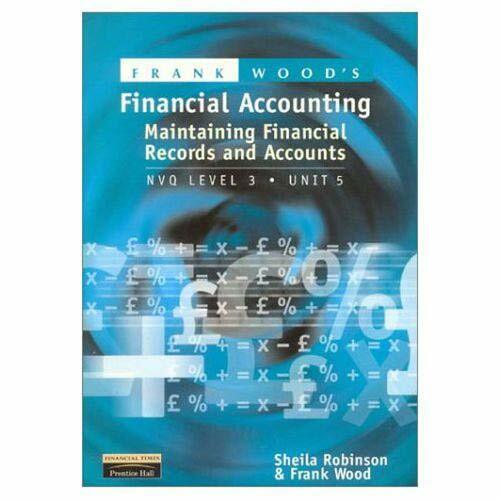 This textbook has been written to meet the requirements of the lead body of accounting at NVQ level 3, to provide understanding for students undertaking AAT, ACCA and CAT courses and for other accounting courses where students needs to acquire knowledge. Providing the student with comprehensive coverage of Unit 5, NVQ Level 3: Maintaining Financial Records and Preparing Accounts, this text meets the requirements of the Accounting National Training Organisation (ANTO) at NVQ Level 3 in financial accounting. It also provides knowledge and understanding for students undertaking AAT qualifications, and ACCA (CAT), and is also suitable for any other accounting courses where students need to acquire competence in keeping financial records and preparing accounts. Features Takes a progressive approach to preparing financial statements - this helps students to build on their knowledge in a step-by-step fashion to reinforce the learning process. Contains numerous worked examples, building students confidence in analysing and interpreting data. Provides an extensive range of questions, graded in order of difficulty. This helps students gain proficiency in analysing and interpreting all material presented with the chapters. Includes specimen papers in the style of AAT and ACCA (CAT) in an appendix to help students prepare for these assessments. Contains a glossary of accounting terms at the end of each chapter. Provides step-by-step guides for the preparation of financial accounts. Contains fully displayed answers at the back of the book.